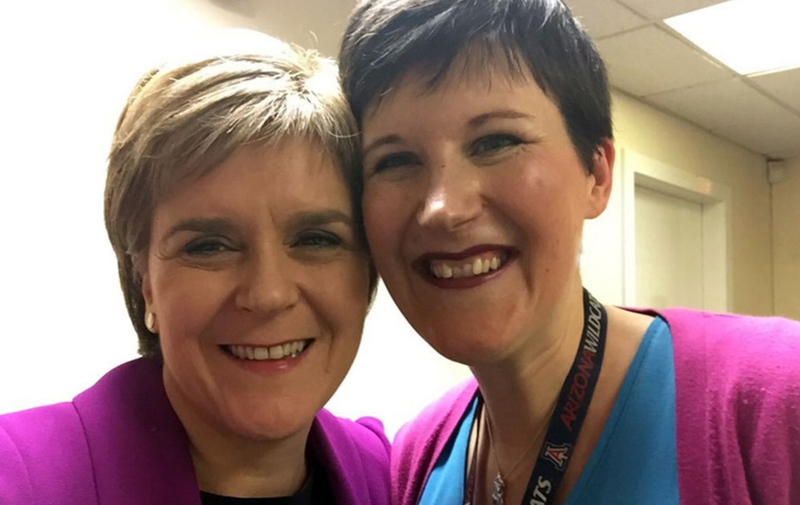 SCOTLAND’S top teacher is helping children learn maths – by playing bridge. Anne Hutchison, who was named teacher of the year in 2015, recently introduced the centuries-old game to her Primary 6 class in Glasgow. Despite having to continually count cards and work out the complicated scoring, she says the children at Carmyle Primary are now obsessed with the game. And it is so beneficial that those who struggle in maths have “come on leaps and bounds” since playing the game, and their confidence in the subject has “soared”. Speaking in an education magazine, Ms Hutchison said the idea to teach her students the tricky card game came after she found out it was a firm favourite of Bill Gates. She said: “I had been intrigued by an article about teaching mini-bridge to children, which suggested that it had been proven to improve pupil concentration and social interaction. She got in touch with the local bridge club, who arranged for two experts to come in once a week to teach her P6 class. “The game had the children engrossed and now they all fist pump when they see Kevin and Hamish,” she said. “There are many benefits. I have found that the game has improved mental agility as the children continually have to count cards and work out the complicated scoring. She added that the reaction from her pupils has been fantastic. Another pupil, Tommy, even prefers to play bridge to games on his iPad because he gets to play with his friends. Many of the children have gone on to teach family members, and are now keen to run an after-school bridge club for members of the local community. Ms Hutchison’s class have also begun to teach younger children, and are determined to make the game a sustainable activity in the school. She said: “The children love bridge so much that it has become a golden-time activity in school. “My children rate every lesson we do and, when asked what they would give bridge, replied ‘All the aces – and the trump cards’.